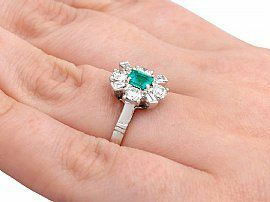 This exceptional contemporary emerald cluster ring has been crafted in 18 carat white gold. 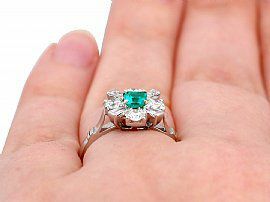 The unusual boat style setting displays a subtly elevated, feature four claw set, step cut natural emerald to the centre of the design. 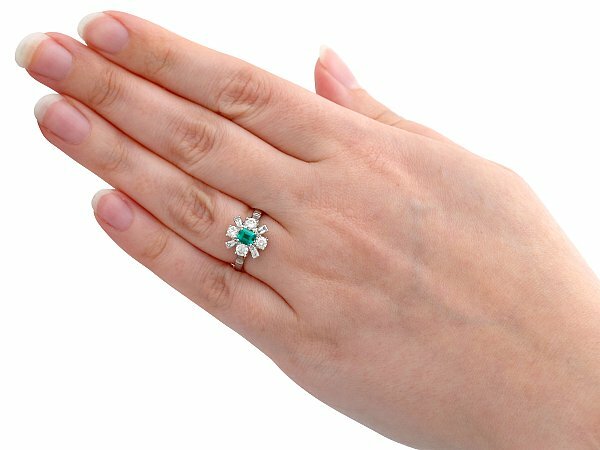 The impressive emerald is encircled by four individually set, modern brilliant round cut diamonds and four individually set, feature tapering baguette cut diamonds emanating in a sunburst style manner. The pierced decorated, elevated ring shoulders are accented with simple cuff design at the junction with the hallmarked 18 ct white gold ring shank. The ring is hallmarked to the interior of the shank with the gold guarantee mark (crown), the 18ct gold fineness mark (750), the London Assay Office hallmark (leopard's head) and the date letter for 2008 (I). 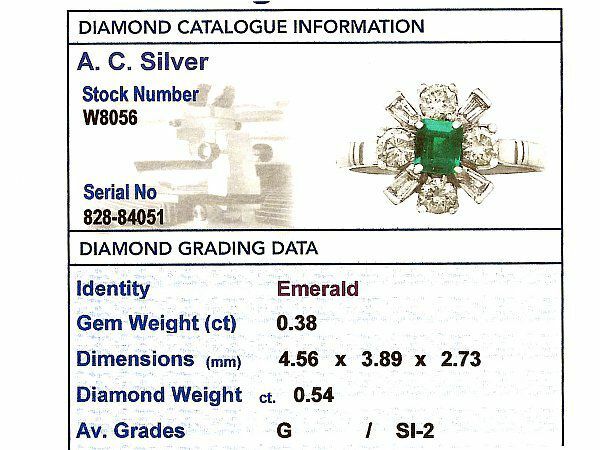 This contemporary emerald ring is supplied with an independent diamond grading report card. This contemporary cocktail ring is fine quality, set with a natural emerald and very high colour graded, high clarity graded diamonds. 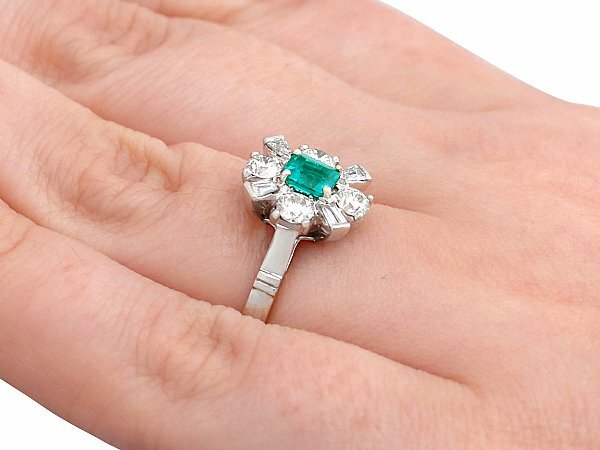 The emerald cluster ring is in excellent condition with very clear, full English hallmarks including maker's mark (AN) struck to the interior of the shank. 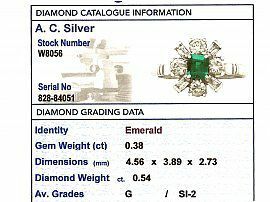 Length of setting 1.15cm / 0.45"